The return of Canadian banks to the domestic bond market with securities they soon will no longer be able to sell boosted debt transactions to a record in the first half of the year. Corporate issuance reached $63.8 billion since the end of 2017, thanks to deals such as $2.25 billion offerings of deposit notes from Bank of Nova Scotia (BNS.TO) and Toronto-Dominion Bank (TD.TO). The latter, Canada’s largest bank by assets, also reopened notes first sold in 2017 to win bragging rights for amassing the country’s largest non-government debt security with $3 billion outstanding. Heavy issuance of deposit notes, a cheap and versatile source of funding for banks, came in part because of the so-called bail-in regime taking effect in late September. The regulation will end banks’ ability to sell deposit notes in favor of new, riskier securities that can be converted into equity in case a bank gets into trouble. Canadian bail-in regulations become applicable on Sept. 23 after years of preparation. The bail-in regime has been in the works since 2013 when the federal government first said it would take steps to manage the risks of banks deemed “systemically important” by the country’s banking watchdog, the Office of the Superintendent of Financial Institutions. Regulators worldwide have been working to prevent a rerun of the 2008 financial crisis, which saw the U.S., U.K. and other developed nations recapitalize failing lenders with taxpayer money to keep them from dragging down the economy -- and then faced popular push-back from taxpayers. Canada has largely avoided that fate, but wanted to be better prepared in the future. Some fund managers like Andrew Torres, the founder and chief executive officer of Toronto-based Lawrence Park Asset Management, expect banks to slow down sales of deposit notes ahead of the introduction of the bail-in regime to make sure the new bail-in securities get a good reception from a starved market. A lot of questions about the new bail-in securities remain unanswered. For instance, it’s unclear how much interest, or spread over federal government bonds, banks will have to offer investors in exchange for taking on more risk than associated with deposit notes. 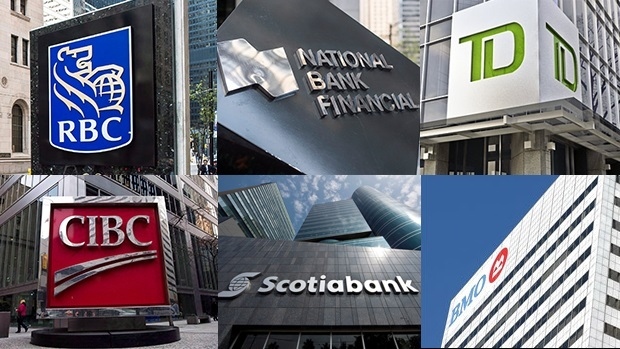 The largest Canadian banks recently offered a spread of about 80 basis points and wider on fixed-rate five-year deposit notes. The bail-in securities may be sold at a spread that’s 20 to 25 basis points wider, so it makes sense for banks to lock in lower costs while they still can, according to Himanshu Bakshi, a credit research analyst at Bloomberg Intelligence. “Later, all the banks will issue is bail-in securities, which will be expensive given the risk premium they will be paying,” he said. Another question mark hovers over how fast banks will move with the first transactions and how quickly they will want to replace legacy deposit notes with new bail-in securities. What’s certain is the new notes will be unsecured, tradeable and transferable, and will have a maturity of at least 400 days, according to regulations put in place. Typical deposit notes are three- to seven-year securities, although banks have been populating longer parts of the curve too. Scotiabank and Bank of Montreal (BMO.TO) both sold 10-year deposit notes this year. Reception in general has been positive, even as Canadian corporate spreads have widened out in recent months after tightening to a decade low in January. The average spread was 110 basis points on Tuesday, up 22 basis points from the January low, according to a Bloomberg Barclays index that covers around $350 billion of corporate bonds in Canadian dollars. Canadian corporate bonds have generated a 0.7 per cent return this year, outperforming peers south of the border which suffered a 3.1 per cent decline. Sales of deposit notes exceeded $29 billion in 2018, almost double the issuance in the same period in 2017, and $5.3 billion short of last year’s total, according to Bloomberg data. The return of Canadian lenders to the domestic market helped financial entities to account for 66 percent of total corporate issuance in the first half of the year. That compares with 49 per cent in the first six months of 2017 when lenders were more active abroad, according to data compiled by Bloomberg.